Each week, The Creators Project seeks out the best and brightest from the comics industry. With years of experience in the industry, comic writer and editor Aubrey Sitterson currently writes the new G.I. Joe series for IDW Comics, and this week speaks to The Creators Project about his favorite new releases: “A couple years back I made a conscious effort to start consuming less and creating more,” Aubrey explains. His highlights for the week include Jem and the Holograms #22, “I'm a sucker for band-based stuff,” says Aubrey. “But what Kelly Thompson is doing on Jem is something else entirely. It's fun, feels contemporary and, perhaps most importantly, has an instantly recognizable tone and aesthetic, which is due to the amazing work of Sophie Campbell, Meredith McClaren, and others. One of my big wishlist items for G.I. Joe is doing some kind of crossover with the Jem team—even if it's out of continuity! Cold Slither could show up! Rock 'n Roll could be the Holograms' roadie—it practically writes itself!” Aubrey also calls special attention to Optimus Prime #2 this week and The Unworthy Thor #3. Reviewed this week: Bombastic American Avengers, a new super genius super heroine, too many supermen, and a manga about space brothers toughing it out in the Russian wilderness. Looking at the cover for U.S.Avengers #1 it’s easy to roll one’s eyes and move on down the shelf. Surely this comic is bound to be be a chest-thumping, Americans-vs-Terrorists, simplicity-fest, right? Super-wrong. U.S. Avengers features a diverse cast of heroes including a Brazilian-American millionaire, a Chinese-American lesbian science genius, a Norwegian immigrant in a cool cyber suit, hell… even Squirrel Girl gets to join the fun. And even though they’re loud and explode-y, they’re also inclusive, diverse, tough-as-hell, and champion a sort of “ideal patriotism” where they fight for an America that’s truly a land of opportunity and unafraid of otherness (unless “the other” rides toward the coast in a giant floating volcano, which absolutely happens in this issue). This is a must-read for action comic fans who want something more than the traditional Cap/Thor/Iron Man Avengers can provide. The most amazing part about The Unstoppable Wasp is that it’s all about brilliant female scientists. Nadia Pym is the titular heroine. She’s daughter of famed (and now sadly deceased) scientist Hank Pym—better known as Ant Man—and she continually bumps into super-geniuses who are her idols. Along with trying to get an American citizenship (she was kept in Russia in The Red Room for most of her life up to now) she spends much of the issue meeting other super-smart women and gushes over how much she loves their research papers on biology and radiation. Talk about positive role models: the women (mostly teenagers) fighting crime in this book are super-smart, speak like real humans, and fight to be noticed amidst their male counterparts. The comic even deals with representation in a perfectly nuanced way. S.H.I.E.L.D. keeps a list of the smartest people in the world, and there aren’t many women on the list, and Nadia and Mockingbird decide that that’s because the list is made by men who aren’t looking for women to be on the list, so Nadia seems to want to set out to find brilliant women and raise visibility… all this, and she takes down a giant robot, too. 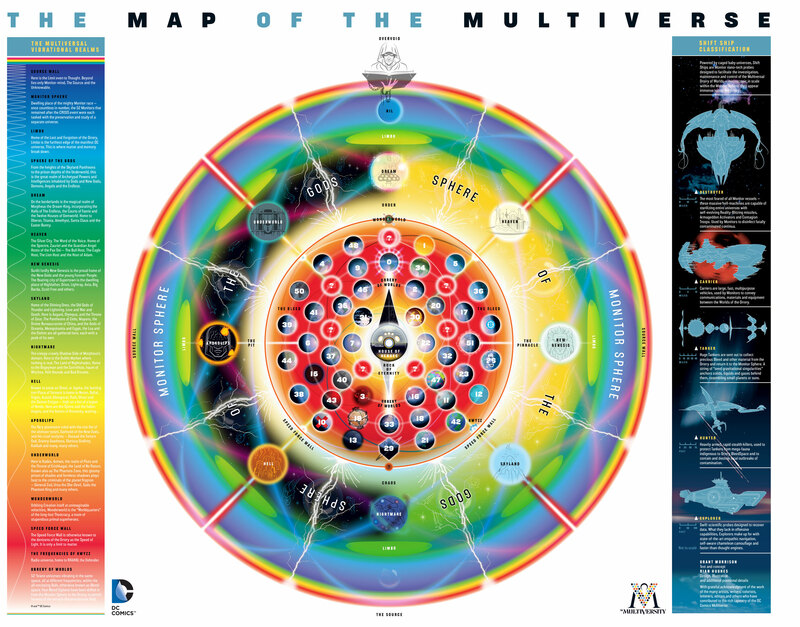 Creatures are tearing through the multiverse (a series of parallel universes in DC Comics, it’s extremely complicated) collecting various incarnations of Superman. They burst onto the scene, scream about collecting those on “the lyst,” and pose a serious threat to our heroes. This is not an easy comic to jump into, but not every comic has to be easy for newcomers every single issue. In a way, it’s sort of a cool, bold move of DC comics to let their tentpole superhero comic slide into an in-depth, potentially confounding story. Space Brothers is a long-running manga (since 2007) about a pair of brothers who made a promise to one another that they’d one day both be astronauts. At the start of the series, one of the brothers really has filled his end of the bargain, and the reader follows the other brother as he attempts to play catch up. In this issue the brothers train with the Russian space program, learn about their customs, and embark on a wilderness survival trip with them. For a manga so centered on space, this is an incredibly down-to-earth work about a group of people getting to know each other in the woods. As with all of these weekly snippets of manga, it will be hard to know exactly what’s going on story-wise from this issue, but it’s an absolutely perfect, tranquil, wonderful read nonetheless. Is Aquaman an Underwater Terrorist?